Born in Southampton in 1937, Alan’s family moved to Stamford during the War. As a child, Alan was always drawing on any surface available including walls and windows! Having a large garden as a playground he became interested in nature and began to draw anything he saw – like birds, insects and flowers etc. He wanted to know more about them and found that drawing was a wonderful way to study them. On leaving school Alan trained as an engineer and, changing to a graphic designer and a technical illustrator, he ran his own successful film animation business before deciding to become a full time painter in 1983. 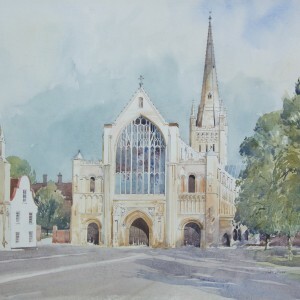 Since becoming a professional artist Alan has had numerous one-man and joint exhibitions and his paintings have been exhibited in many London societies including ‘The Royal Institute’, ‘The Royal Watercolour Society’, ‘The Royal Oil Institute’, ‘The Royal Academy’ and ‘The Pastel Society’. 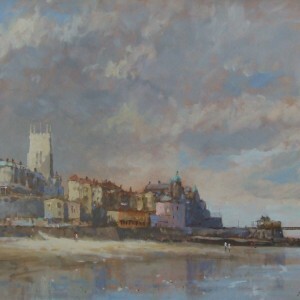 Alan is a member of ‘The Leicester Society of Artists’ and became President of ‘The Leicestershire Pastel Society’ in November 2008. He has written or illustrated seven books and contributed to many articles in Art magazines. For several years Alan taught painting in schools and Art groups around the country; he is well known as a tutor and runs his own series of courses every year. Alan Oliver is primarily a landscape painter but is interested in light and colour involving any subject and working in all mediums – oil, watercolour, acrylic and pastel.